This elegant box makes a beautiful addition to any dressing table and keeps your jewellery in one safe place. 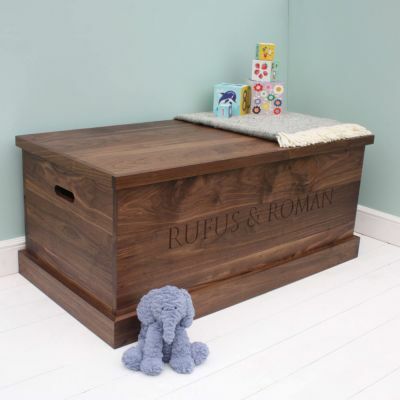 Made from one piece of walnut, the grain pattern flows continuously around the box. 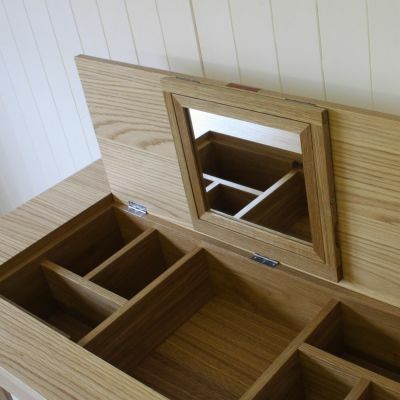 The top tray is divided into compartments to keep your jewellery in order and is easily removable, allowing further storage below. The photos pictured above have the orange, pink, green, grey and red colour lining. 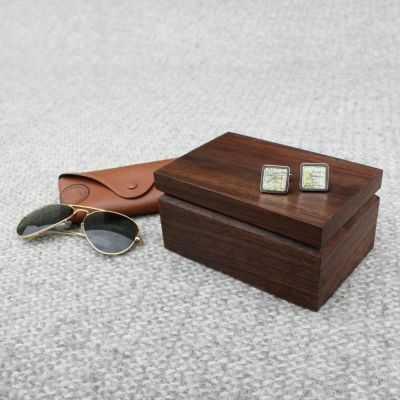 Pair with our walnut cufflink box for a 'his and hers' set.